In honor of Black History Month, we look back at some of our trailblazing and accomplished black alumni. As a member of the New York State Assembly and then the U.S. Congress, Chisholm gained widespread notice as a tireless advocate for the interests of African Americans, women, and the urban poor, and as a champion of great educational opportunity for all. 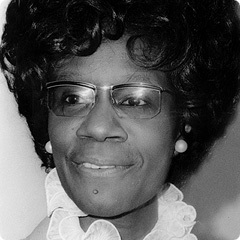 Despite her historic "firsts," Chisholm has said she does not want to be remembered primarily for them: "I'd like to be known as a catalyst for change," she said, "a woman who had the determination and a woman who had the perseverance to fight on behalf of the female population and the black population, because I'm a product of both, being black and a woman." 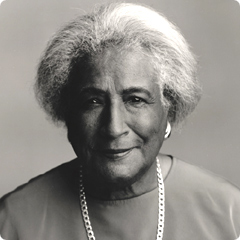 In 1985, Chisholm received a Distinguished Alumni Award from Teachers College. 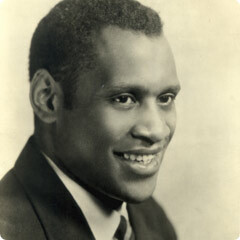 One of the most prominent black Americans of the 1930s and 1940s, Robeson won critical and popular acclaim for his stage and screen roles. It was as a concert singer, however, that he earned his greatest fame, performing a uniquely broad repertoire of spirituals, classical music, world folk songs, and political songs that reflected the struggles of the marginalized and disenfranchised. Greene is believed to have been the first African American woman licensed to practice architecture in the United States. In 1936, she became the first African American woman to receive a bachelor's degree in architectural engineering, from the University of Illinois at Urbana-Champaign. During his more than 40-year career, Russell taught and directed social services at several New York institutions. He is credited with establishing the first professional department of social work at Harlem Hospital. He was a trustee of Columbia from 1987 to 1995. In 1947, Daly became the first African American woman to earn a PhD in chemistry. She investigated the effects of cholesterol, sugars, and other nutrients on the heart. Daly also taught biochemistry at Columbia’s College of Physicians and Surgeons. Charles R. Drew discovered that plasma could be dried and reconstituted, making it possible to “bank” it for long periods of time. This work led to his development of the world’s first blood bank and improved techniques for blood storage. He also challenged the scientific fallacy of racial segregation in blood donation. Having won 53% of the popular vote and an overwhelming 68% of the Electoral College, Obama was inaugurated as the nation’s first African American president on January 20, 2009. For these complete bios, visit the Columbia250 site and the Columbia University's Black History Month site.